The unseasonably warm weather in Sussex this week has got us dreaming of Summer at The Lamb! We are so lucky to be nestled in a county with so many fantastic attractions and events throughout the Summer. While often we are too busy working to get to many of them, we love hearing stories from our customers who stay with us at The Lamb to head out and explore as many events in Sussex as you can. 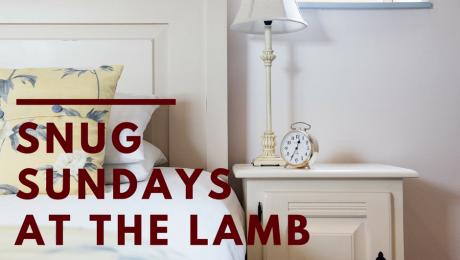 The Lamb, nestled between the South Downs and the sea, is a perfect place to get away from it all at any time of year, but as a cosy winter hotel we really hit the mark! Our rooms, each featuring the name of a landlord in times gone by, are part of our warm and inviting gastropub, featuring an open fire in the bar area and log burner in the restaurant. In such a welcoming environment, it isn’t a surprise that our rooms each feature special touches that make it a home from home. 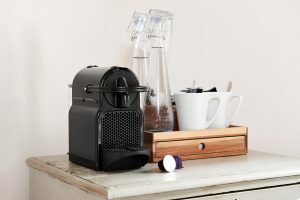 Luxurious bedding and soft furnishings, wonderful bathrooms and coffee machines in each. Priding ourselves on making our establishment cosy and welcoming to visitors from our village and those who have come from further afield, there is always a friendly face to greet you on arrival at The Lamb. We are happy to share with you a little history of our wonderful pub, or help you find the best walks and places to visit in the area. Angmering is spoilt to be so close to not only the Sussex coast, with its wonderful seafront walks and cafes, but also the endless rolling hills of the Downs. 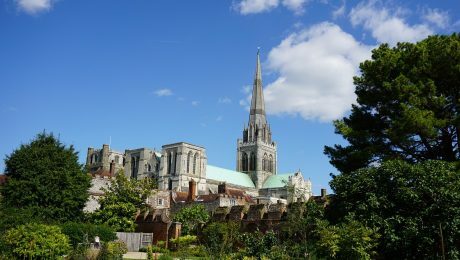 Historic towns of Arundel and Chichester are just a stones throw away and have some wonderful things to see and do. So if you are looking for that perfect, cosy winter hotel for a romantic break or trip to the countryside, we would be happy to welcome you at The Lamb. 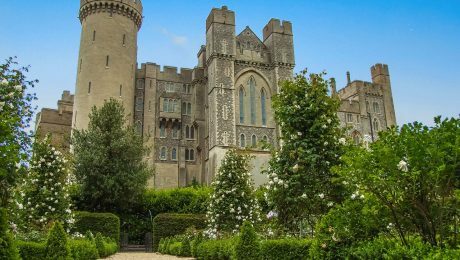 Steeped in history and packed with charming shops, Arundel is the perfect place to head for, whether you’re looking for a day out at Arundel Castle, or some retail therapy in Tarrant Street. Wander around Swanbourne Lake if you’re feeling energetic, or pop along to the Arundel Wetland Centre to see some feathered friends. When visiting our glorious county, a visit to the sea is obligatory. In summer it’s all about sandcastles, sunbathing and a dip in the sea, and in winter it’s the perfect place to blow away the cobwebs on a coastal walk. Head to Angmering-On-Sea if you fancy a quiet trip to the ocean, or go slightly further afield to Worthing and Brighton for the full seaside experience. 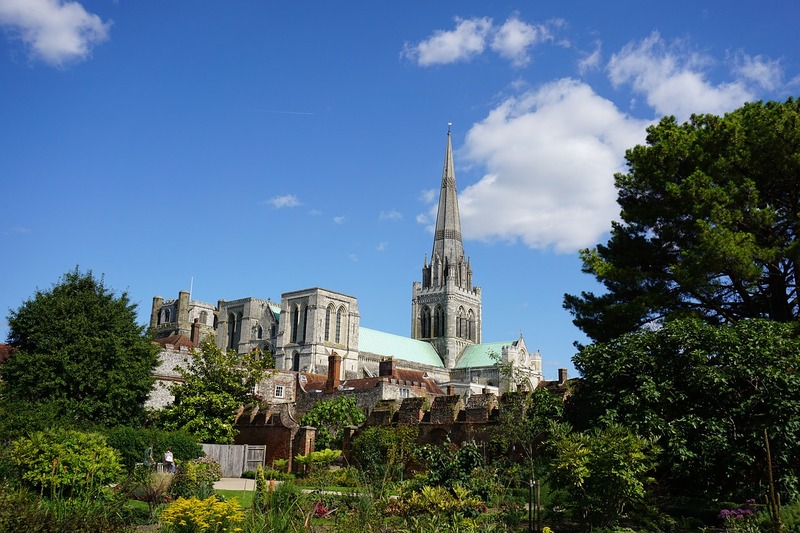 To the west of Angmering is Chichester, just a short drive or train journey away. When you get there you’ll be met with a streets lined with shops, quiet parks to wander through, and a stunning Cathedral to explore. It’s buzzing with culture too; it’s home to theatres, art galleries and live events. The ultimate walk in the woods. It’s a stone’s throw from The Lamb and stretches across 6750 acres, and it’s origins date back to Norman times. The forest is beautiful at any time of year, but particularly in the spring, when the earth beneath the trees is completely covered in a blanket of bluebells. With rich historical pickings in Sussex, a trip around Amberley Museum is a must if you fancy learning more about it. The exhibits span 150 years, and there’s even a narrow-gauge railway and a bus to take you around the site in style. Amberley’s not too shabby either – set in rolling Sussex countryside next to the River Arun. 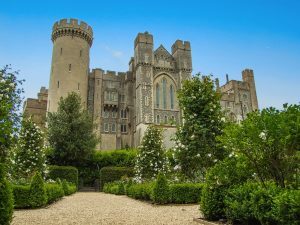 This is just a handful of the things you can see and do in Sussex, and all within an easy journey from The Lamb. Our cute and cosy rooms provide the perfect base to explore our corner of the world, and our restaurant is on hand to provide the refreshment! Find out more about our accommodation and booking info here. For many people during the colder months, the perfect end to the weekend includes a perfectly cooked Sunday lunch, a wander in the countryside, and snuggling up with a loved one in ultimate comfort. That’s why, this winter, we’re throwing in a two course Sunday lunch at The Lamb for two in the bar when you book a Sunday night stay in any of our beautiful rooms. Take advantage of this offer for a pre-Christmas get away, or to recover from the madness of the festive season. 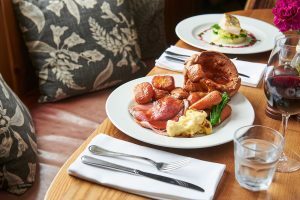 Cleverly crafted by Head Chef Richard, Sunday Lunch at The Lamb is a triumph every week, even if we do say so ourselves. The set menu is bursting with flavour, local ingredients, and lots of love for the food we create, and with your Sunday night stay, you can enjoy two courses of Sunday lunch on us. To get your mouth watering, take a peek at our Sunday menu. After a proper roast lunch, you’ll need to walk it off – just as well we’re sat right next to the beautiful South Downs then! Wander from the village up towards Angmering Park Estate, or if you fancy venturing out in the car, the beach is only a short drive away for a blustering stroll along our stunning coast. After that, head back to The Lamb for an evening drink and a cosy night in one of our 8 bedrooms. All are en-suite, and boast quality vintage furnishings and gloriously comfortable kingsize beds, which will rid Monday morning of it’s usual reputation! This offer is valid for Sunday night stays until 25th February 2018 inclusive. 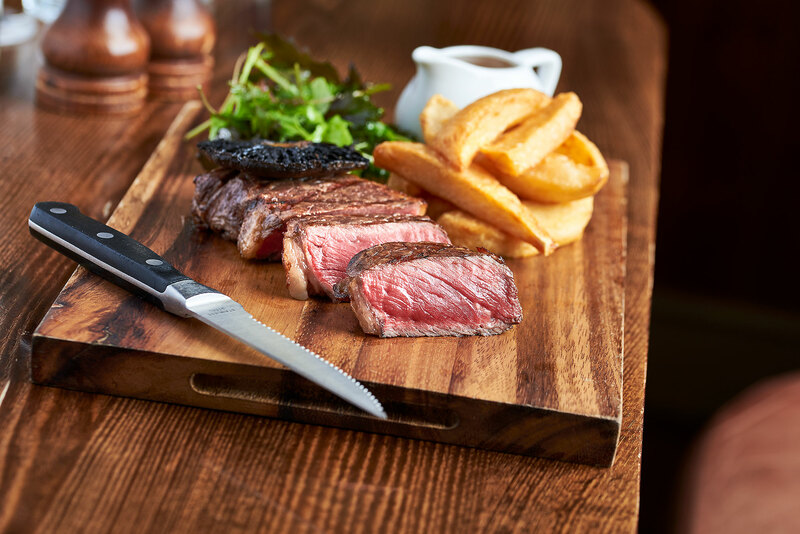 Sunday lunch is served 12-3pm on the Sunday of your stay – choose between starter and main, or main and dessert. OR use our online booking system HERE, but please add ‘Snug Sundays Offer’ into the Special Requests box on check out. 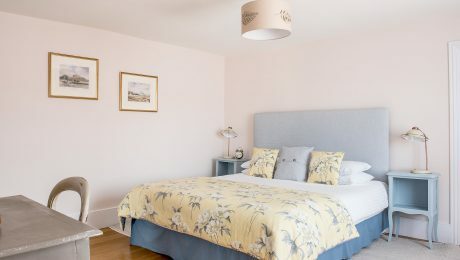 Light, bright and airy, Charles Newman is a beautiful room that sits at the front of our Sussex guest house, overlooking Angmering Square and perfect for a holiday in West Sussex. One of the cool and quirky features of this room is that it has it’s very own adjacent private dressing room, complete with wardrobe, mirror, and a beautiful chair. The room boasts an en-suite bathroom, quality vintage furnishings, and a luxuriously comfortable king size bed. The room is named after a Lamb landlord from 1832, when the building was owned by Messrs Henty and was still no bigger than a good sized Georgian dwelling. Charles oversaw a time for The Lamb when it was a high status village public house, used by local people as a meeting place in the clubrooms. 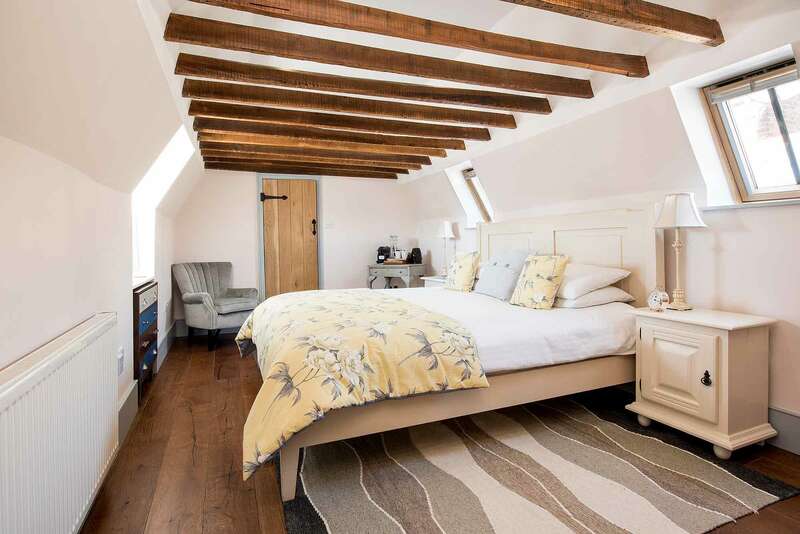 Charles Newman is just one of 8 beautiful rooms available to stay in at The Lamb for a picture perfect holiday in West Sussex – see them all and book here. It’s our guest rooms themselves that top of the list, of course. Each named after a previous Lamb landlord, every room is furnished with beautiful vintage pieces, equipped with thoughtful touches, and is home to a blissfully comfortable bed. From Albert Dodds, our hidden gem of a suite tucked in the eaves, to the country charm of Zebedee Peskett, each room offers a luxurious (and en-suite) escape from the every day. 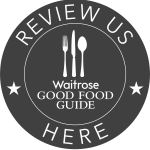 Fine food, literally on your doorstep! The beauty of staying at a pub is that you don’t have to go far to find a good meal, and that’s certainly the case at The Lamb. Our kitchen can provide a hearty breakfast to set you up for the day, a lunch to fuel your exploration of our beautiful county, or a dinner crafted from the finest local ingredients by our talented chefs. Our menus are always being updated to reflect seasonality, but you can get an idea of what to expect here. With the South Downs National Park sitting just behind The Lamb, and the seafront just a short drive away, we really are ideally placed to experience the best of both worlds that Sussex is famous for. 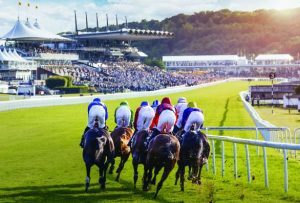 We’re also a stones throw from the historic town of Arundel, a short journey away from the bright lights of Brighton, and close to attractions like Ham Manor Golf Club and Goodwood. Whether it’s walks or shopping, it won’t take long to find something to do when staying at The Lamb. 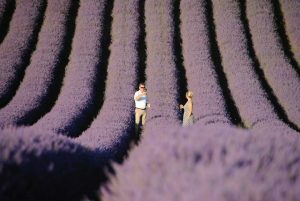 Planning a romantic break, or even looking for business trip accommodation? 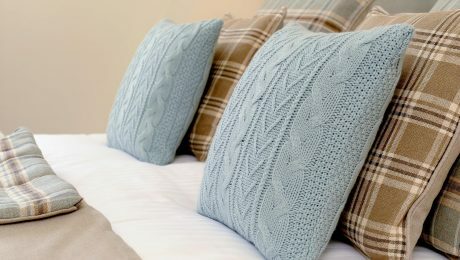 Make it stylish and comfortable at The Lamb. View our rooms and get booking via this link. 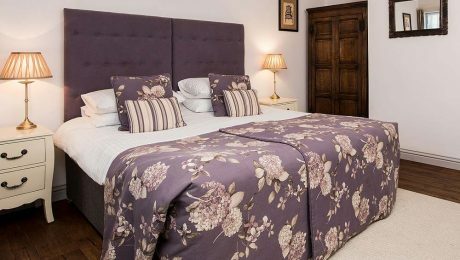 Designed around beautiful period furniture and decorated with the highest attention to detail, our 8 luxury guest rooms in West Sussex provide the perfect base from which to explore the captivating county of Sussex. The pub benefits from being close to places such as Goodwood, Arundel, and Ham Manor Golf Club; whatever brings you to Sussex, you can be assured of a blissfully comfortable stay when you book. In homage to the pub’s rich history, each room is named after a previous Lamb landlord who, just like the rooms, have their own unique character. 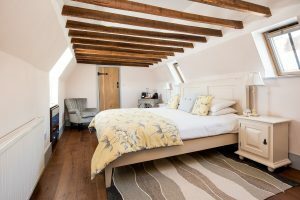 Guests can expect not only a superior level of comfort and style in each room, but there’s also the entire pub downstairs to enjoy – whether that’s a delicious evening meal, an ice cold drink on the terrace, or the breakfast that’s served to you after a wonderful nights sleep.